PDF Viewer Software use for open PDF file and easily zoom in & zoom out of documents in Mac & Windows OS. This tool allows browsing damaged PDF files. This application offer Basic File Management (Renaming, Deleting, Moving, Copying) features and it is very fast and flexible. 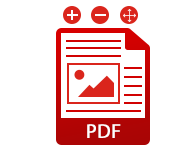 PDF File Reader easily explore PDF files of any size (250 MB) & any type without making single changes and also provides fast and accurate recovery of PDF files. PDF Reader for Mac OS X and Windows OS is allowed to browse all PDFs with including properties. 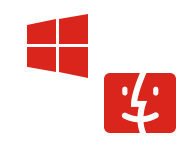 One be One browsing and viewing of PDF documents & others information by this tool. This tool offers advanced features for viewing documents such as rotating, flipping, zooming PDFs, scaling PDFs, keyboard and mouse shortcuts, for Mac & Windows users. PDF viewer mac offers to sort PDF by folder & file name, or by date. PDF Viewer offers smart & easy to use graphical user interface for Mac & Windows users. If the PDF file document carries the bulk number of pages, then PDF File Reader provide an option to navigate from one page to another page with curl page effect or simply entering the particular page number will be enough for the software to navigate you to the respective page effectively. 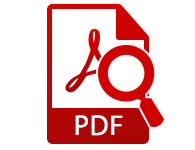 PDF Reader for Mac OS X and Windows OS Application explore PDF file formats from any version of Adobe. This application browses any versions PDF file extension in original format. PDF Viewer For Windows support by any Windows OS version such as 10, 8.1, 8, 7, Vista & XP and PDF Reader For Mac supports by any Mac OS version such as Sierra, Yosemite, Lion, Tiger, Leopard etc. I am having a problem to view PDF file in the Inbuilt PDF Reader. Can PDF File Viewer help me to open PDF file? Yes, PDF Viewer is capable of open PDF files. This tool has viewed any type of PDF file format like corrupted or damaged files. Is there any risk associated with documents corruption while reading PDF file format? No, the PDF File Viewer tool does not introduce any kind of corruption in the PDF files and is completely safe to open the PDF files in it. Is there any file size limitation with the PDF Reader For Mac & Windows? No, there is no any file size limitation with PDF Viewer Software, users can easily view and open PDF file in original format. Can I open PDF file from any versions of Windows Operating System by PDF Viewer Windows tool? Yes, PDF Reader For Windows Software allows of view PDF file from any Windows OS like 10, 8.1, 8, 7, Vista & XP. Can I read PDF file from any versions of Mac Operating System by PDF viewer mac software? Yes, PDF Reader For Mac OS X Tool allows of view PDF file from any Mac OS like Lion, Tiger, Leopard etc. "The best PDF Reader For Mac and Windows, which, while simple, benefits from the speed that comes with being so lightweight, and is a good software for view any PDF file with some advance features. It’s simply nice and easy to use. Thank you freeviewer." 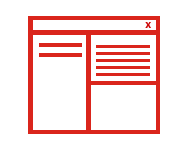 "I’m a big fan of PDF Reader for Windows and Mac operating systems: super-fast, simple, everything we need for any PDF files. Its offer incredible performance and ease of use when it comes to viewing Adobe PDF files. Thank You for this tool!"